Dr Mediel Hove argues that there is a role for external actors in Libya but it should be driven by the African Union and centred on the concepts of compromise and power sharing. Mediel Hove is a widely published senior lecturer of War, Peace and Strategic Studies at the University of Zimbabwe. He is also a Research Associate at the International Centre of Nonviolence and Durban University of Technology (Durban, South Africa). His research interests include conflict, peace-building, human and state security and strategic studies. Conflicts can better be resolved and transformed if external powers stop manipulating the United Nations Security Council Resolutions (UNSCR) designed to ensure nonviolent transitions. My recent article, published in the Journal of Asian and African Studies, uses the case study of the Libyan conflict to support this argument. I demonstrate that the manipulation of UN resolution 1973 exacerbated Libya’s conflict and overshadowed the African Union’s attempts to end the conflict. Consequently, the African Union’s efforts to encourage the fighting parties to compromise and share power in a drive to halt the civil war are yet to be realized. To make this argument, I explore the factors that led to the collapse of governance structures, assess the significance of intervention to impede fighting, discuss the opportunities that can be exploited by the African Union (AU) in its effort to end the conflict, and provide a road map that can be pursued to guarantee stability and sustainable peace. The revolutionary demonstrations that took place in Tunisia and Egypt encouraged Libyans to oust the repressive Gaddafi regime. After the death of Gaddafi, governance structures collapsed in the country. This included the collapse of the security sector and its monopoly of violence. Whereas the security sector was used to stabilize Tunisia and Egypt, in Libya the security sector had been responsible to Gaddafi. Therefore, his death opened a power vacuum, sparking competition amongst different warring groups. Even without this factional fighting the security sector would not have been in a strong position: these poorly structured forces had been weakened over time by Gaddafi’s reign. Valuing his regime’s survival over all else, Gaddafi did not encourage meritocracy in his ranks. Instead of being promoted, many talented individuals were excluded or eliminated because they were deemed to be a threat. Some were so demoralized that they defected. Those that remained were increasingly mercenary and forged a strong sense of entitlement to advancement on the basis of political loyalty. This is not to mention the divisions along regional, ethnic, linguistic, and religious lines that echoed those in the country as a whole. The fate of the security sector was further weakened by external intervention. Namely, the no-fly zone imposed by the US and its Western allies. Their actions were taken under the auspices of UNSCR 1973 but they manipulated and abused the terms of this resolution when they attacked Libya’s military capacity. Libya’s badly structured and fragile security sector was further crippled by these NATO air strikes. The AU and its member states attempted to employ African-based solutions to the conflict, encouraging ownership, commitment to peace, and a foundation of shared values. The three African states that were then members of the United Nations Security Council, as well as members of the Arab League, all verbally condemned Gaddafi’s violence against civilians and tried to push a regionally grounded solution forward. However, African states were constrained by Libya’s monetary contribution to the African Union’s budget, which gave it influence on AU initiatives. Their plight was further worsened by the Libyan National Transition Council, which was formed outside the country and ignored the African Union approach, preferring to listen to the US and its allies. 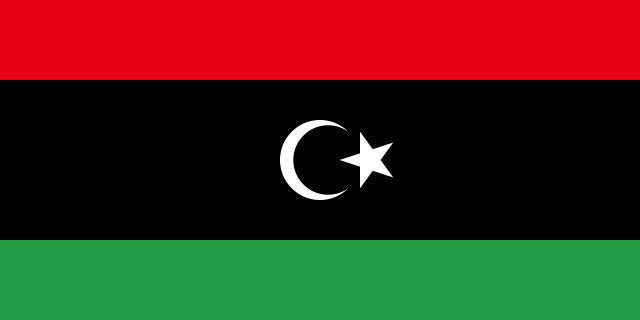 Libya remains unstable today and in great need of thoughtful, principled intervention: Armed militia members are refusing to disarm; ethnic conflict is on the rise; divisions across generational lines are increasing, and increasing numbers are under threat from the gruesome operations of the Islamic State of Syria and Iraq. Intervention will not be simple: the conflict has created many centers of armed power that do not respect human rights. The conflict in this country currently affects fourteen other nations and Libya risks becoming a seedbed of international terrorism. To establish lasting peace in Libya multi-stakeholder solutions are needed. At the heart of these should be peace talks driven by the African Union, aimed at achieving compromises and power sharing. There is a dire need for accommodation, reconstruction and national reconciliation based on the politics of concessions and aided by continued regional and international support. The reconstruction of Libya’s economy is a crucial. This will depend on Libya’s new leaders improving on the ways in which they manage the country’s oil resources. Much can be learned here from other oil-rich countries that have emerged successfully from civil wars, like Nigeria. Economic recovery will also rest upon leaders’ willingness to adequately diversify the economy, promote entrepreneurship, and address widespread corruption. The UN, NATO, and the EU all have possible roles to play in these broader processes, provided they act in Libya’s best interest. For example, the UN could provide assistance to Libya’s overwhelmed judicial system and protect members of the judiciary from possible reprisal; help to halt the unlawful forced displacement of Libyans and foreigners among other human rights abuses; assist in security sector reforms through training, and help Libya to secure her borders to curb the movement of rebels and prevent arms smuggling by terrorists who are undermining national and regional security. This would mark a turning point for external intervention in Libya. To date, intervention by the US and allies has lengthened the duration of the conflict, aggravated the toll on human life, worsened human rights abuses and humanitarian suffering, provided a breeding ground for Islamic radicalism and weapons propagation beyond Libya. 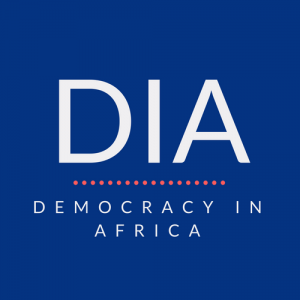 Making the changes noted above would help to re-invigorate or bolster the AU road map that promoted compromise and power sharing, which was overshadowed by the NATO-led regime change mission.